Kurt Braunohler brought a trust exercise to the Comedy Bar on Sunday evening as part of the JFL42 preview shows happening in advance of the September festival. Off the top, he put a 40-minute countdown clock on his tablet and announced that in that length of time, the audience would have to decide if we trusted him. He then presented various stories from his life as evidence. The recently married comedian proposed to his wife on a hot air balloon — that's romantic and trustworthy, right? Except that it turns out her constant jokes about that being a gift he'd get her were her way of revealing her deepest fear, so his romantic proposal turned into a death-defying nightmare for his beloved. Not so trustworthy. On he went: eating alone in restaurants, going to Australian strip clubs alone, and getting caught masturbating by his wife (to the shame of his dog) all went in the "don't trust" column. On the other hand, he has a dog. 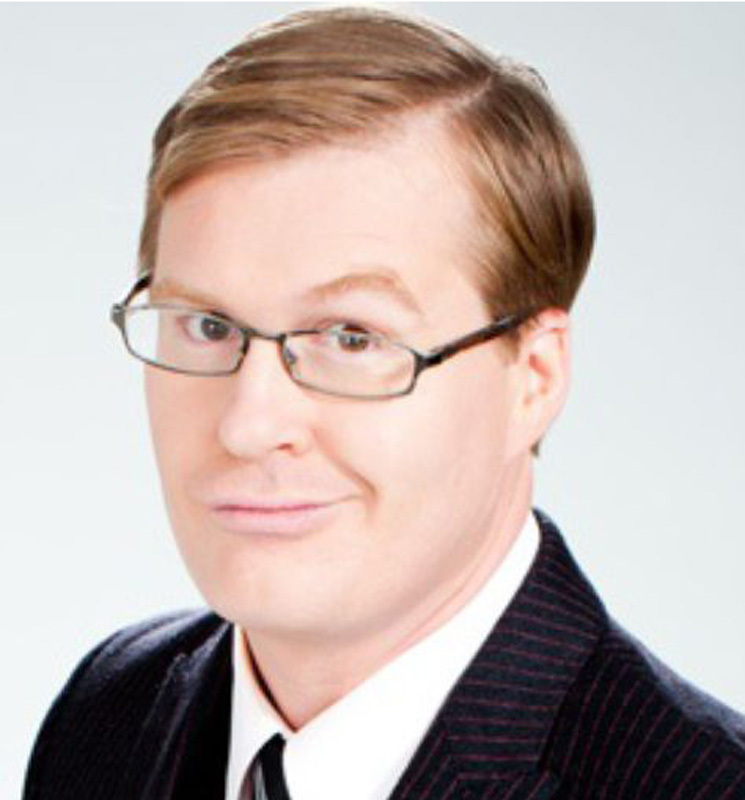 It was a fascinating thematic structure to put on the set, partly because as a tall blonde white guy, Braunohler looks like a local TV news anchor or a postman from the '50s, but introducing the idea of not being trustworthy undercut his natural affability, replacing it with, not menace exactly, but an awareness of how we absorb social cues. At the 40-minute mark, Braunohler handed out blindfolds to anyone who wanted them in the audience, which was about one-third of the nearly sold-out crowd, before continuing with his set. With that, he invited those who took the blindfolds — those who decided they trusted him, and wanted to invite some surreal experience into their lives — out the back door of the club. I don't know what happened next, because I didn't take a blindfold. Braunohler seems trustworthy enough, but I know better than to follow a comic to a second location.